Frank Marr was a good cop, until his burgeoning addictions to alcohol and cocaine forced him into retirement from the D.C. Metro police. Now, he's barely eking out a living as a private investigator for a defense attorney--also Frank's ex-girlfriend. Ostracized by his family after a botched case that led to the death of his baby cousin, Jeffrey, Frank was on a collision course with rock bottom. Now clean and clinging hard to sobriety, Frank passes the time--and tests himself--by robbing the houses of local dealers, taking their cash and flushing their drugs down the toilet. When an old friend from his police days needs Frank's help to prove he didn't shoot an unarmed civilian, Frank is drawn back into the world of dirty cops and suspicious drug busts, running in the same circles that enabled his addiction those years ago. Never one to play by the rules, Frank recruits a young man he nearly executed years before. Together--a good man trying not to go bad and a bad man trying to do good--detective and criminal charge headfirst into the D.C. drug wars. Neither may make it out. David Swinson is a retired police detective, having served 16 years with the Washington, D.C. Metropolitan Police Department. 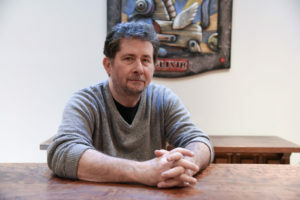 He is the author of two previous novels featuring Frank Marr: The Second Girl and Crime Song. Swinson currently lives in Northern Virginia with his wife, daughter, bull mastiff, and bearded dragon. 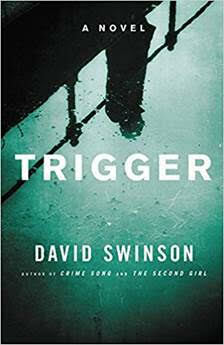 Thank you for the spotlight on "Trigger" by David Swinson and for being part of the book tour. I'd love the opportunity to read Frank Marr's story which sounds intriguing. Shimmer the Glowworm Finds Her Glow. Romance is in the Air KickOff !!!! Did I Mention I Was Getting Married? Did I Mention I Won The Lottery?